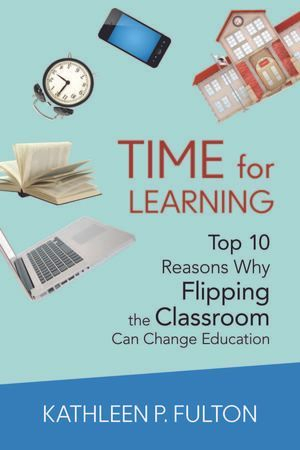 Speak Up family and friends: “Time for Learning: Top 10 Reasons Why Flipping the Classroom Can Change Education” by Kathleen P. Fulton is out today! This entry was posted in Speak Up and tagged flipped classroom, Flipped Learning, Kathleen P. Fulton, Speak Up family and friends on June 5, 2015 by Lisa Chu. Speak Up is a national initiative of Project Tomorrow®, the nation’s leading education nonprofit organization dedicated to the empowerment of student voices in education. Each year, the Speak Up National Research Project polls K-12 students, parents and educators about the role of technology for learning in and out of school. This survey represents the largest collection of authentic, unfiltered stakeholder voices on digital learning. Since fall 2003, over 3.4 million K-12 students, parents, teachers, librarians, principals, technology leaders, district administrators and members of the community have shared their views and ideas through Speak Up. K-12 educators, higher education faculty, business and policy leaders report that they regularly use the Speak Up data to inform federal, state and local education programs. In fall 2013, Project Tomorrow surveyed 325,279 K-12 students, 32,151 parents, 37,756 teachers, 2,230 librarians, 933 district administrators, 3,020 school administrators, 577 technology leaders and 1,346 members of the community representing over 8,000 public and private schools from over 2,000 districts. The Speak Up 2013 surveys were available online for input between October 2nd and December 20th 2013. Speak Up 2013 data will be released to all participating schools and districts that participated on February 5, 2014 in celebration of digital learning day! This entry was posted in Speak Up and tagged flipped classroom, Flipped Learning on January 21, 2014 by Project Tomorrow.